David Tennant joins the cast of Netflix’s A.K.A. 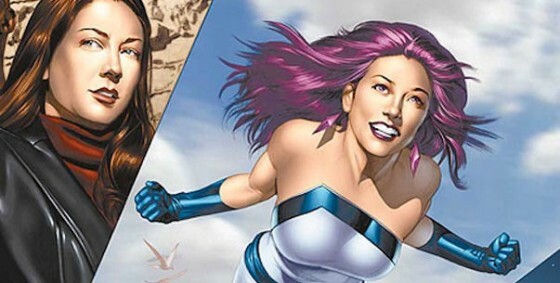 Jessica Jones series, the 13-episode show following Marvel’s Daredevil. Give me a lady-led series, a new Netflix show to binge watch and a villainous David Tennant to marvel at any old day. Rumors about the character Kilgrave makes fans wonder if he is a form of The Purple Man, a Yugoslavian spy with chemically altered violet skin. Fans are weary since he progression from purple goofy villain to gritty menace went full speed ahead in the comics when Marvel added the spice of sexual violence in the mix… Let us hope the producer Melissa Rosenberg alters Kilgrave’s backstory to avoid stereotypical revenge troupes. Currently Marvel.com refers to Kilgrave as ” an enigmatic figure from Jessica’s past.” How mysterious. Following a tragic end to her superhero career, the world of Jessica Jones takes place in NYC as she rebuilds her life and takes cases involving New Yorkers with amazing abilities. After watching Tennant in Doctor Who and then BroadChurch I am going to miss his variety of British accents. Yet his work on the American adaptation of Broadchurch, Gracepoint illustrates there is no accent that man cannot master. Watch for more Jessica Jones updates on Marvel.com and the series debut this year.